Despite my earlier declaration of love for all things mountains and hiking, the reality is that we can’t indulge in those things all of the time. 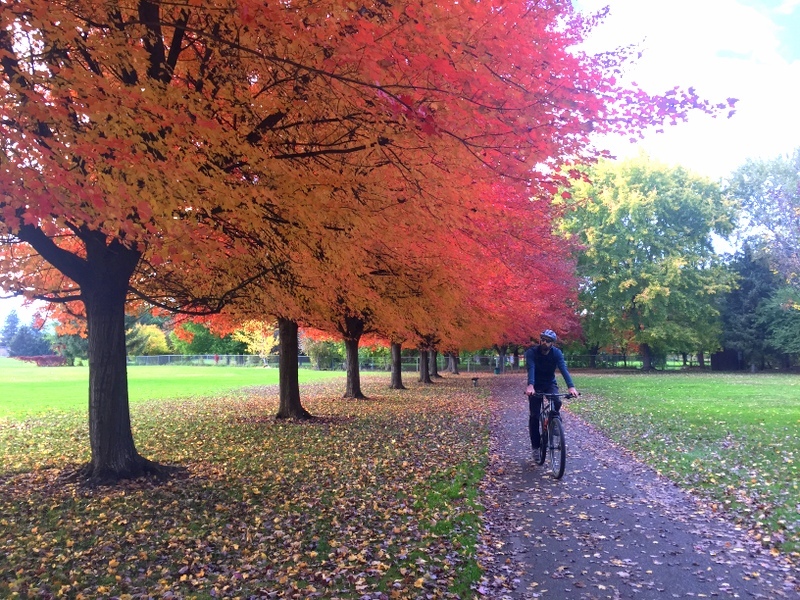 As fall in the northern mountains turns from golden yellow to brown and below freezing nights become the norm, it’s time for us to start moving south. Not too fast though! With a long winter playing the southwest shuffle ahead of us, we’re not wanting to arrive in the desert quite yet. So from our last stop in Winthrop, we head south, but only a few hours south to the central part of the state where apple and pear orchards outnumber people by a wide margin. Our destination is Ellensburg for a cider and music festival. Tim learned about the small four-band festival a few months ago and since its location fit in perfectly with our plan to drive south through Nevada (we just couldn’t face the prospect of traveling all the way through CA on I-5), we decided to would be a fun way to spend a fall weekend. But first, we had to find a place to stay. 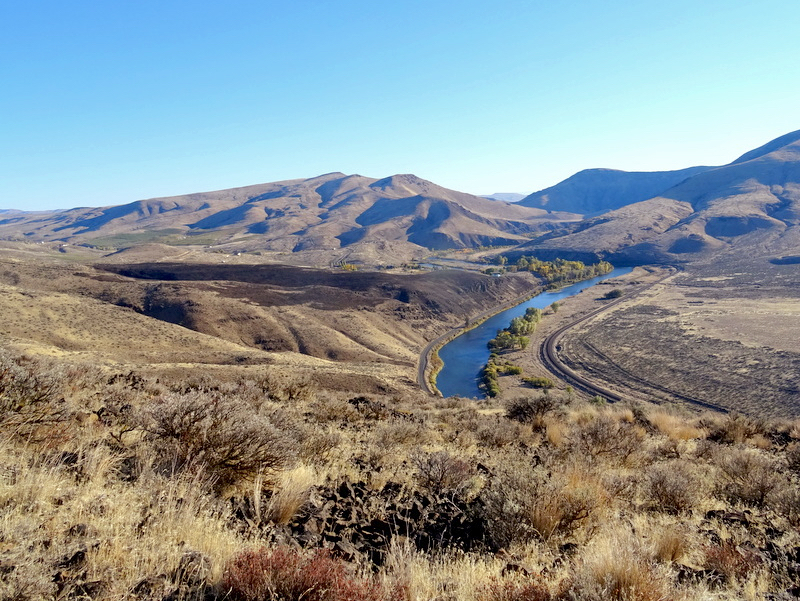 While searching around the area on Campendium, I found some small BLM run campgrounds just south of town in the Yakima River Canyon. 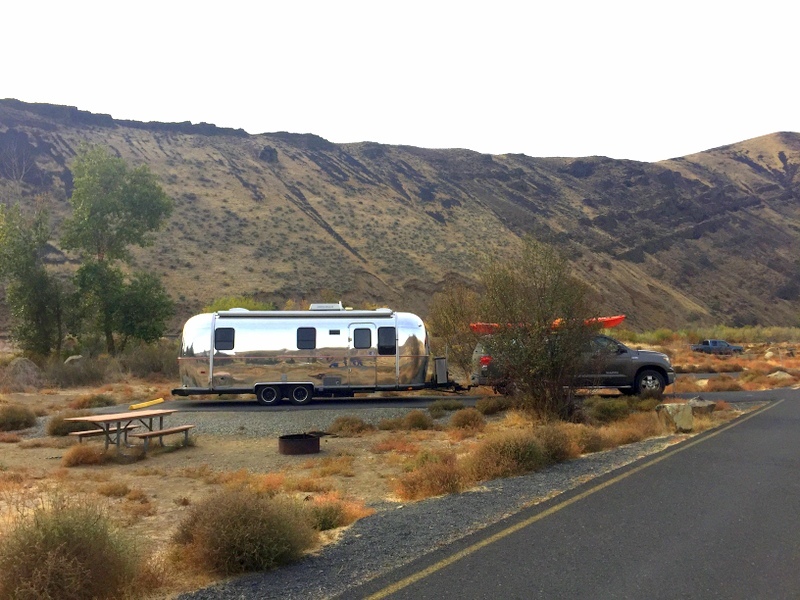 The most northern one, Umtanum Campground, was reported to have good cell service and a couple of nearby hiking trails so it seemed like the obvious choice. Except when we pulled in all of the sites (7 or 8 of them) had reserved tags for two days in the middle of the week. We were puzzled at first because their website clearly states that all the sites are FCFS after October 1. Eventually, Tim noticed that the tags stated “for BLM use” so we decided they must be reserved for BLM workers who were coming to do repairs or maintenance in the area. Not wanting to move again when they arrived, we kept driving south to see the other options in the canyon. After passing two that were only suitable for tent campers, we pulled into the Big Pines CG. It looked promising with decently spaced paved sites arranged along the river. Most of the sites were out in the open so we would get plenty of solar, and while AT&T was non-existent, we did get a few bars of Verizon on our hotspot, although it was very, very slow. We pulled into a site and went inside to turn on the booster and see if we could make it work. Nope. Not happening. With the upload speed barely even registering on the speed test and Tim needing to participate in several online video meetings throughout the week, this spot was not going to work for us. 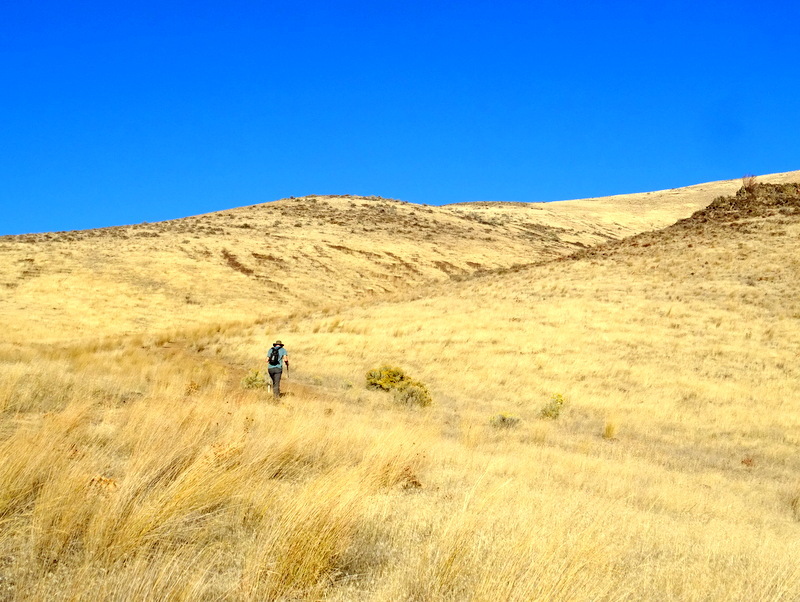 Using the tiny bit of cell service we did have, we quickly re-routed to the Yakima Sportsman State Park. 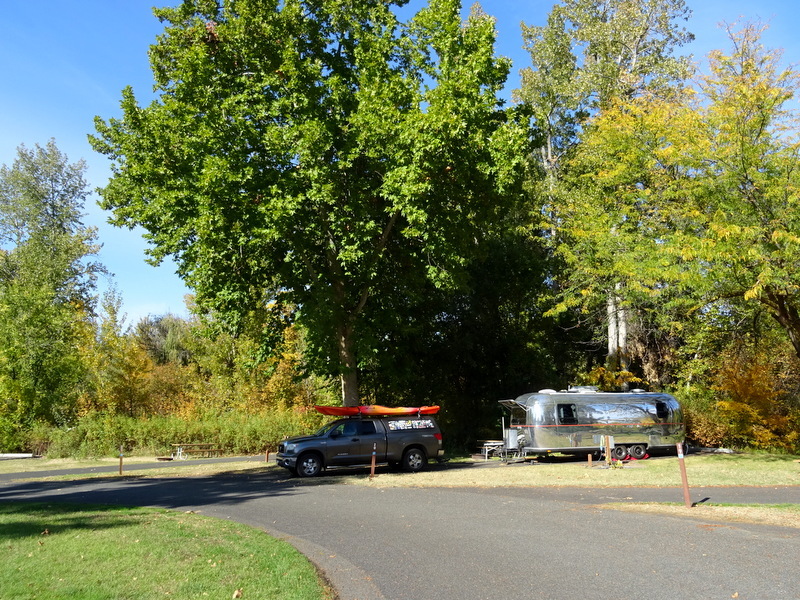 After driving 30 more minutes south, we arrived just in time to settle into our very nice full hook-up site (WA state parks have been so good to us this year) before heading out to the nearest brewery for some local refreshments. Not only is central and eastern Washinton know for growing apples, pears, cherries, and other fruit trees, but they also grow a LOT of hops. 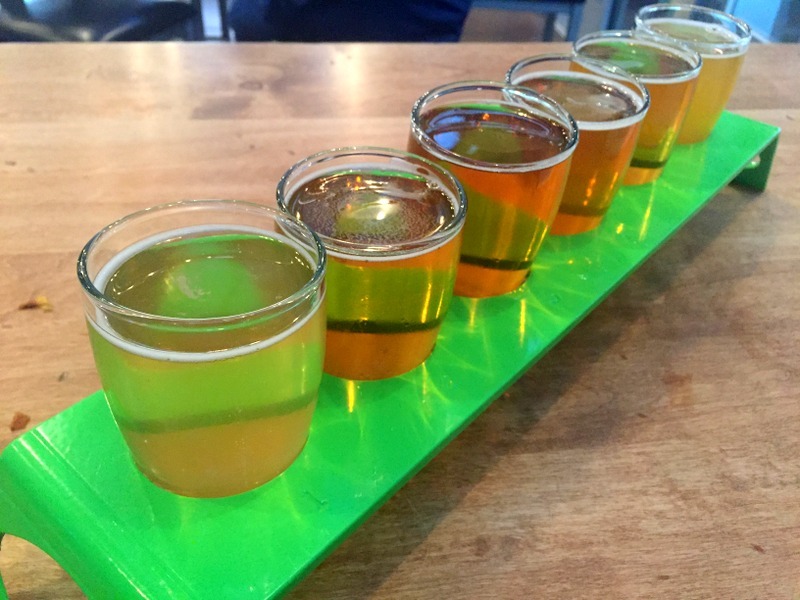 Consequently, there are a lot of breweries serving up a lot of hoppy beer. You can even find breweries, such as Bale Breaker, located in a hop field. When we visited, the hops had recently been harvested for the year, so we didn’t get the experience of drinking a hop filled beverage inside a hop filled field, but we did get our first ever taste of fresh hop IPA. This beer is only available for a few weeks after the harvest and I can’t think of any way to describe it other than fresh tasting. We tried a number of IPAs at Bale Breaker and agreed that the best was the Bottomcutter IPA. Despite the crazy high IBU of 100 (a scale of bitterness for hoppy beers), it was surprisingly smooth with a dry finish and just a hint of citrus. 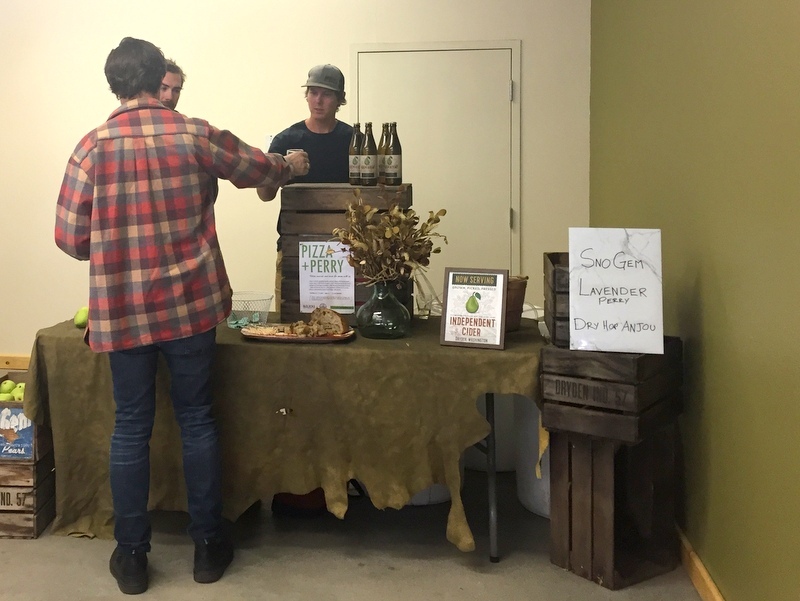 Later in the week, we stopped by Wandering Hop Brewery to taste more fresh IPAs. Here we discovered something completely new to us — a milkshake IPA. I know, I know, it sounds kind of gross. I mean just the words “milk” and “beer” in the sentence is enough to make me queasy. But it’s not a real milkshake made of beer and milk. Instead, this trendy beer is a spin on the popular hazy IPA craze with lactose added to give it a creamy texture. 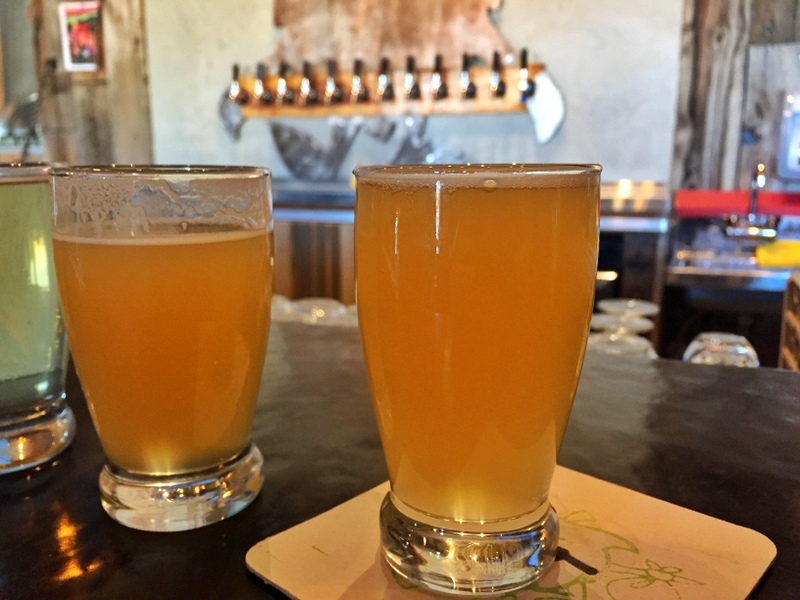 Many milkshake IPAs are heavy on the fruit flavor, but some, like the one at Wandering Hop, have a hint of vanilla that cuts through the bitterness and leaves behind a surprising aftertaste reminiscent of fresh baked cookies. It was both interesting and delicious! There were more breweries we could have visited, but life can’t be all about consuming alcohol, so we restrained ourselves and instead spent most of the week enjoying our nice site at the state park while occasionally getting out for a little exercise on the smattering of local trails. 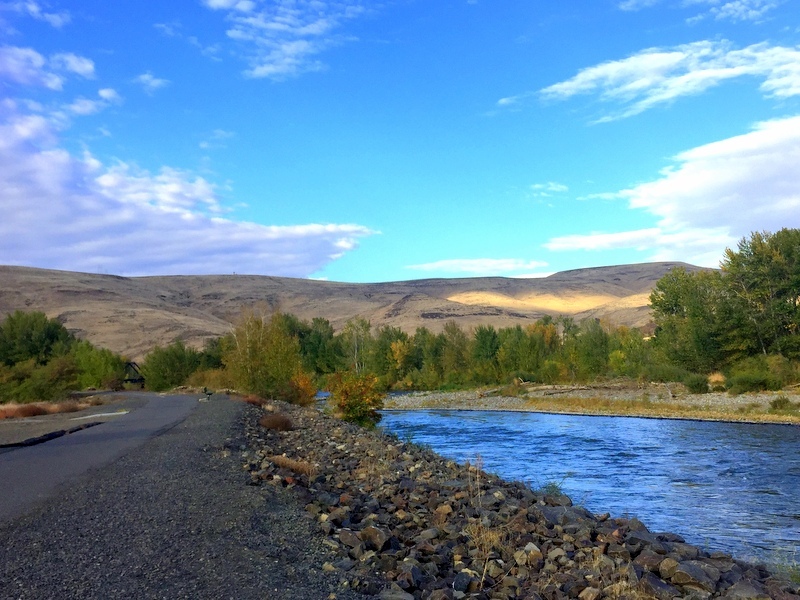 From the campground, we were able to access the Yakima Greenway for some biking one fine afternoon. It was an okay path and we biked about 15 miles total. No giant feat considering it was 100% flat. 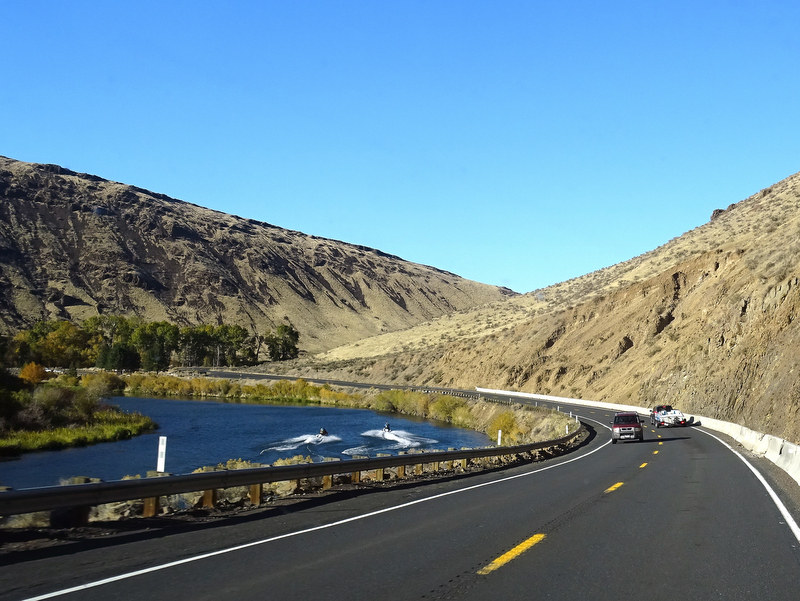 Most of the way we had the Yakima River on one side and a fast moving highway on the other. Two hikes were taken — one on the side of a bare hillside on the east end of town and another in the canyon near the Big Pines Campground. After spending all spring and summer in heavily wooded areas the sudden change to hiking on trails with not a single tree in sight takes some getting used to. On Saturday afternoon we hitched up the house and drove north the Ellensburg for the music festival. It was held at a local outdoor event space and for $20 extra you could stay overnight in a grassy parking area. 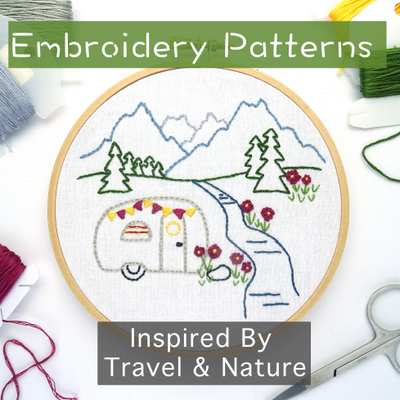 We suspected that this would be a mostly local event and were not surprised to be only one of four RVs who chose to stay overnight. 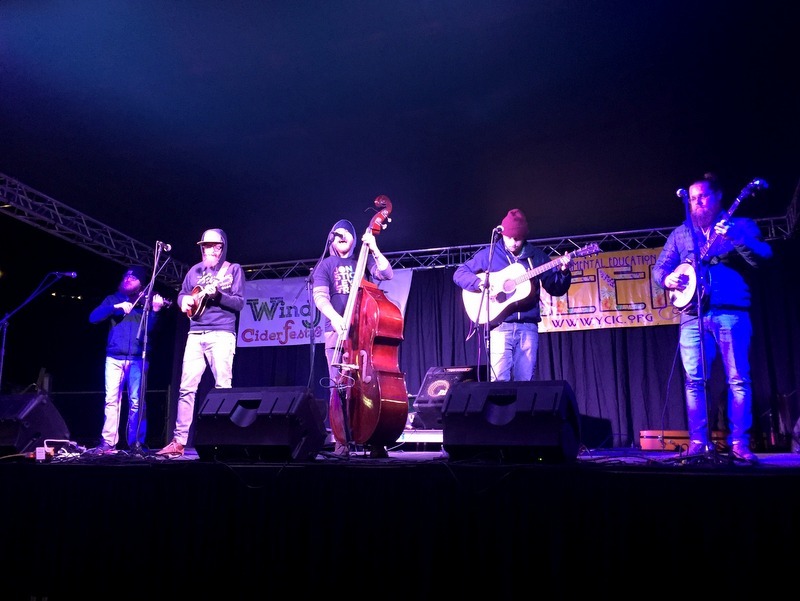 The festival was on the small side with two bands we didn’t know and two we had seen before. 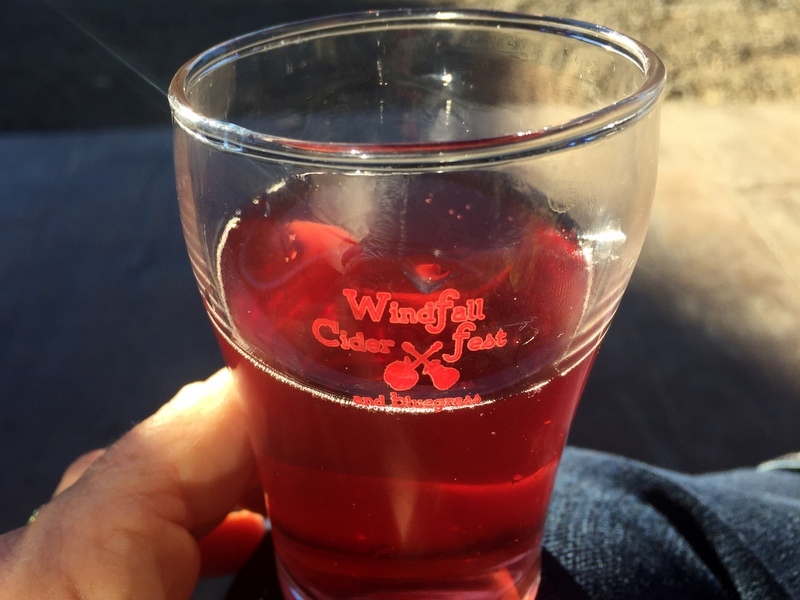 With the price of admission, we got a commemorative glass and six tasting tickets to use at the cider stations. I think there were close to a dozen different cideries from around the state onsite. Each had two or three offerings on tap and we really enjoyed tasting and learning about the different varieties. 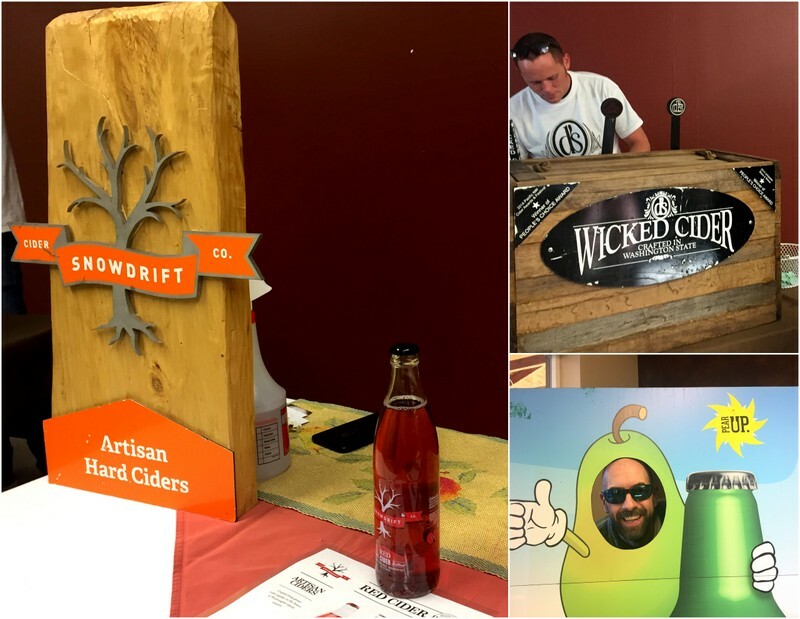 Hard cider has come a long way since the days when the Angry Orchard brand was the only game in town. As someone who was never a fan of Angry Orchard (far too sweet), it was interesting to taste all the inventive combinations and learn that hard cider can be really tasty! Some of my favorites were the pear ciders. I had one with ginger that was delicious and another called Dry Hop Anjou from Independent Cider that was so good I went back for more. We ended up buying more drink tickets because there was so much to taste. Also, our house was parked only steps away… Tim was also a fan of the dry ciders, especially those with hops added. But in the end, he declared that all this cider tasting confirmed just how much he likes beer :) Lucky for him, a local brewery was there as well. As predicted the crowd was on the small side, but everyone seemed enthusiastic about the cider and we enjoyed spending the evening drinking, eating some tasty BBQ, and listening to live music. Good times for our last stop in Washington. Neither of us like IPAs, but you make them sound so delicious!! The ciders sound even better. What a fun place. I love the hills of golden grasses, and after months of trees they look pretty wonderful :-) You Fall pic is beautiful. I used to hate IPAs, but the recent changes and additions have me coming around. And yes, the cider was delicous! 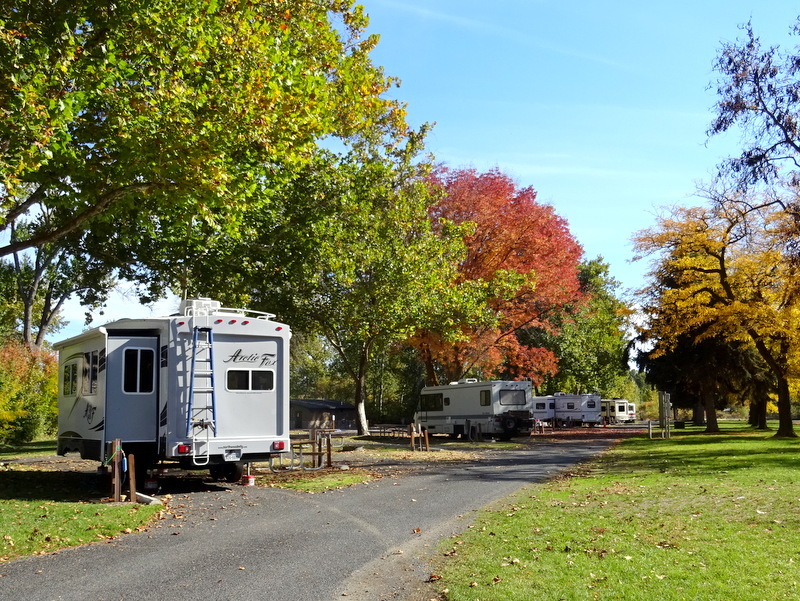 I use this campground on my way coming and going from home further north. We actually had no issues getting a signal with our booster, but the upload speeds were simply too slow for work meetings. Most people would have found it adequate. Not much sleep last night. I started out with your first day on the road, June 15 2012, and just kept going until my eyes began to droop. What fantastic trips you two are taking! It makes me ache to remember our two previous “Toasters”, a 23ft and a 31 Excella. But time takes its toll, and now travel is on a CRT tube. The best to you two! I am missing you two, ?????? Just taking a short blogging break. Will be back this week with a few new posts!